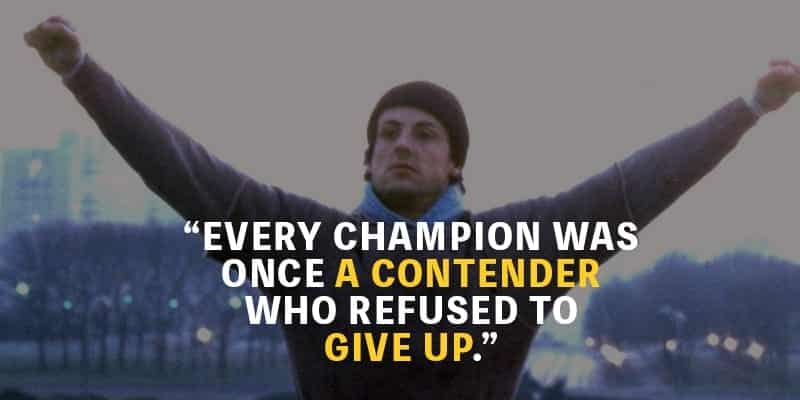 Home / Contenders Clothing / Top 20 Inspiring Quotes by Rocky! 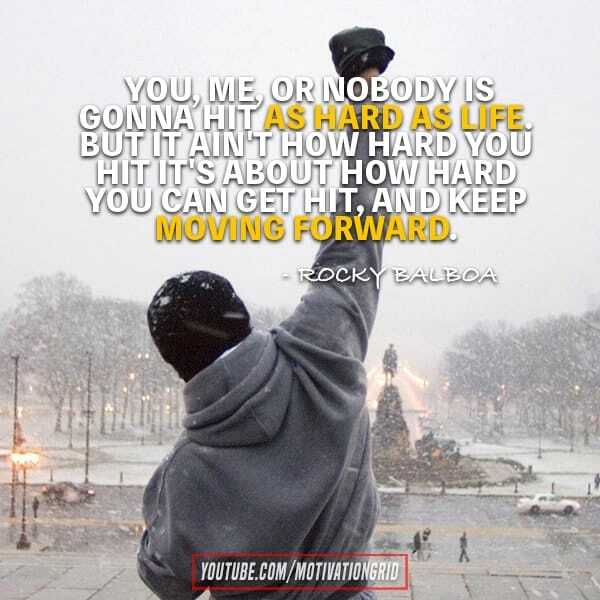 Top 20 Inspiring Quotes by Rocky! Rocky is probably one of the most recognized movie characters in the world and definitely one of the most inspiring stories ever written. It’s about never giving up, no matter how hard your situation. Even the story behind how Sylvester Stallone pitched the movie and how many times he was rejected is an inspiring one. This movie was simply meant for greatness. The Rocky movies are full of motivational quotes that should inspire you to reach your full potential. You’re gonna have to go through hell, worse than any nightmare you’ve ever dreamed. But when it’s over, I know you’ll be the one standing. You know what you have to do. Do it. Adrian: Rocky, why do you fight? Rocky Balboa: Because I can’t sing and dance.